The All-Clad 100-Quart Stockpot is ideal for making stock, soups, and stews and for preparing food in large quantities. Thick Induction base provides quick, even heat distribution and is suitable for all cooktops. This stockpot also features interior capacity markings for quick reference when preparing recipes. 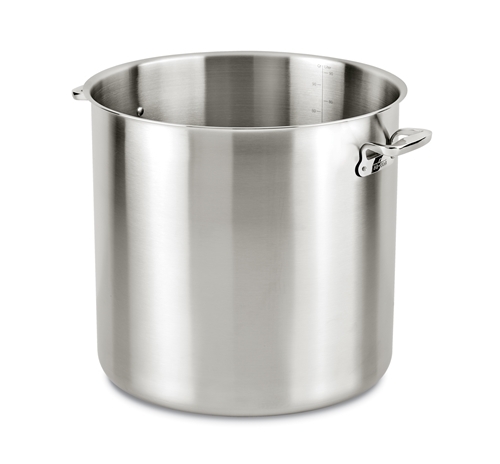 Made with heavy-gauge stainless steel, this stockpot is built for long-term use. Oversize cast stainless steel handles are riveted for greater durability. In addition, the ergonomic handle design ensures a secure grip even when handling with oven mitts.